Description: Relaxing sounds and grooves to dance to. 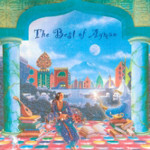 His styles range from Middle Eastern tempos to instrumental rock. Biography: In 1987, Ayman as Happy the Man, a collaboration with Dave Stewart of the Eurythmics among others, released their first album “Making Monsters”. 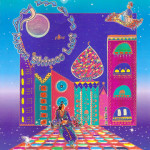 After the success of three Happy the Man albums, and a meditation album called “The Singing Bowl of Tibet”, Ayman wrote the scores for 2 feature films, “Magic Boat” and “Palooka” in 1991. 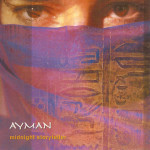 The next year saw his first public release under the name “Ayman” with the album Moon Shines Last. 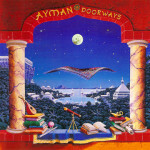 Ayman is an international visionary entrepreneur, CEO, and best-selling musician and author. He has also acted in the role of executive producer on award-winning film and television series, inspiring the development of essential emotional skills at home, school and in the workplace. Focused initially on children’s emotional education, Ayman founded and funded Enchante Entertainment, a media company dedicated to promoting emotional literacy in schools and for families. Realizing the need for a movement to gather around these issues, in 1993 Ayman and his partner Rowan founded FEEL, the Foundation for Education in Emotional Literacy. FEEL was the first nonprofit organization committed to raising awareness for emotional literacy.